Home Actors & Actresses Whoopi Goldberg Daughter, Husband, Divorce, Age, Is She Gay/Lesbian? Sisters’ Act engine oil and award-winning actress, Whoopi Goldberg is a true reflection of Blackness and an epitome of originality. Whoopi who is also a comedian and a human rights advocate is known for being extra with her roles which she effortlessly diffuses into. She was born Caryn Elaine Johnson on November 13, 1955, in New York, United States. Arguing that her given name was a boring one, she changed it to Whoopi Goldberg attributing her last name to her family history. Having been deserted by her father, young Caryn and her brother, Clyde grew up with their mother who took different jobs to keep body and soul together. She had attended Washington Irving High School but had to drop out due to unforeseen complications of dyslexia. The streets were never soothing to Goldberg who later became addicted to drugs and alcohol. In all this, she had an interest in acting although she never got a platform at the time. She sought for a better life and moved from places to places. She later moved to San Francisco where she continued to pursue her career. Although she worked odd jobs to sustain herself in the interim, she never gave up on her dreams. Whoopi soon got an opportunity to exhibit her comic talents, which then paved way for her and landed her the popular “The Spook” show in 1984. The one-woman show created by Goldberg comprised different character monologues. In 1985, the show which was gaining more prominence was moved to Broadway by the director. The Spook ushered in a new era for the Black American. Her performance in the program drew the attention of movie producers and directors including Steven Spielberg who gave her a role in the movie adapted from the novel by Alice Walker, The Color Purple in 1985. The movie was a big hit wich earned her lots of awards and nominations including 11 Academy nominations. Among her many other hit movies was Sisters’ Act in 1992. The award-winning movie directed by Emile Ardolino grossed over $200 million and also earned her more prominence in the industry For her role in the movie, she won awards like an American Comedy Award for Funniest Actress in a Motion Picture, as well as another Golden Globe nomination for Best Actress in a Comedy. The following year she launched the Whoopi Goldberg Show as well as starred in Sarafina. She starred in a whole lot of movies before producing the Broadway Show Thoroughly Modern Millie in 2002. In 2007, Whoopi became the co-host and moderator of talk show The View, drawing millions of viewers. She has featured in hundreds of movies and has continued to stay relevant in the industry. Whoopi Goldberg may be single at the moment but she has had three marriages in the past. All three marriages ended in a divorce and according to the actress who has spoken about them in interviews, she is responsible for all her marriage failures. Goldberg was first married to Alvin Martin in 1973 after which they divorced six years later, in 1979. She had a daughter (Alex Martin) with Martin before their divorce. Her next marriage was to David Claessen in 1986. Goldberg and Claessen split after two years. 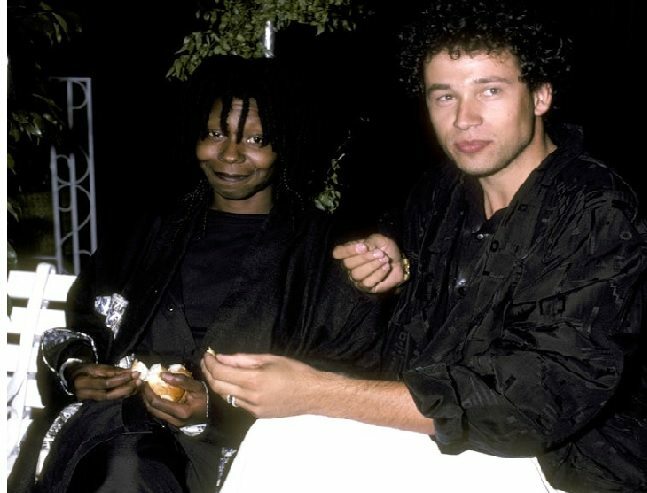 Whoopi took a seemingly long break before she settled again in 1994 when she got married to Lyle Trachtenberg. The couple had dated for nine months before they got engaged in May 1994. The engagement turned into a blissful union in October that year when they finally tied the knot. The romantic love story of Whoopi and Lyle swept through all media sources leaving the entire public in awe of the pair. However, while her fans were still in awe of her new found love, Whoopi Goldberg broke all hearts with the announcement of a divorce the following year – 1995. The reasons for their divorce with Lyle wasn’t so clear as expected but the actress attributed it to her not being able to commit to the marriage. The actress and talk show host had only one child – her daughter Alex Martin, from her three marriages. This question is most frequently asked due to her tremendous support of the LGBT community. Whoopi joined a campaign “Give a Damn” in 2010, aimed at giving a voice to gays and lesbians in the society, as well as getting straight people to associate with the LGBT community. Her sympathy has raised lots of rumors and speculations about her sexuality with many sources question whether she is a lesbian. But on many occasions, the comedienne has debunked the rumors. Whoopi who maintains that she is straight has also preached acceptance and accommodation of gay people in the society. According to her, even though she is straight, there is nothing wrong with being gay.